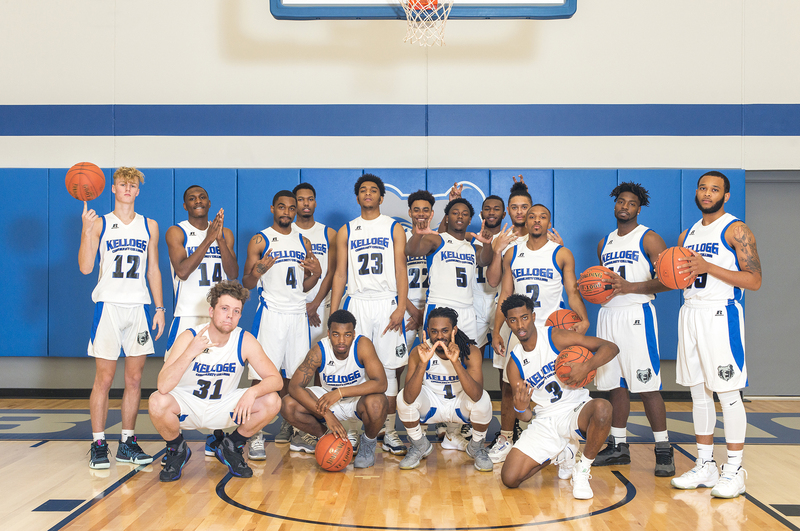 Kellogg Community College’s men’s basketball team lost its first home game of the season 84-68 to Milwaukee Area Technical College on Friday. Leading the Bruins on the court were sophomore Davian Phillips, who had 20 points; sophomore Victor Sheffey, who had 12 points; freshman Wyatt Heal, who had 10 points; and sophomore Gregorye Windom, who had 10 points. “Cold shooting and an inability to keep Milwaukee off the offensive boards led to a disappointing defeat in the season opener,” Head Men’s Basketball Coach Gary Sprague said. The Bruins’ next home game starts at 7:30 p.m. tonight, Wednesday, Nov. 14, against Trine University’s JV team in the Miller Gym.